You are at:Home»Lifestyle»Bring some Disney whimsy to your kitchen this Christmas! The love of Disney stays with us our entire lives. We all remember the first time we went to Disneyland or Walt Disney World. And even though we get older, our inner selves stay young. If you want to add some Disney magic and whimsy to your home or give something to the cook in your life, or someone you know, there are plenty of items that will bring fun and fantasy to any kitchen. 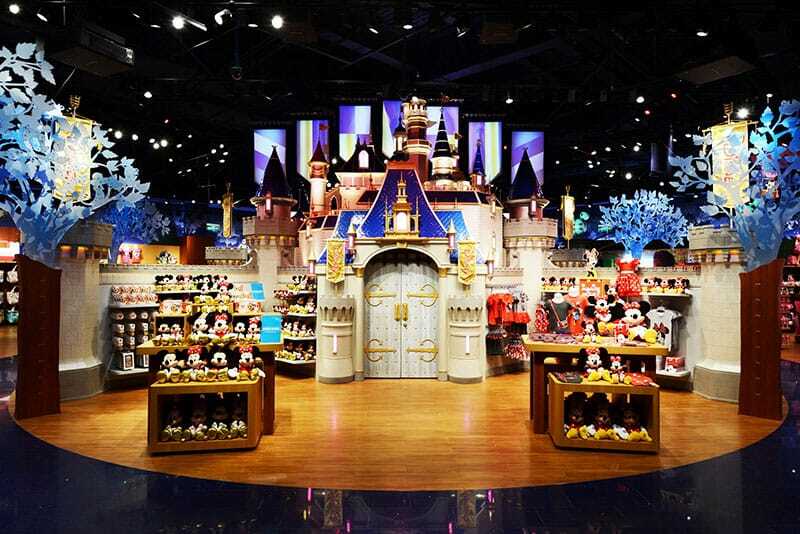 Of course, there are all shapes and sizes of mugs, cups, and an array of salt and pepper shakers to represent the fun of Disneyland and Disney movies. But if you are looking for something a little more substantial, check out these fun kitchen items. The Mickey Mouse Colorful Teapot ($34.95) adds color and a bit of the mouse to your house. Red, black and white combine in this fun item that brings just a touch of Disney whimsy. And for a different look, the Walt Disney World Vintage Teapot ($49.95) is a bit more formal. It is white and gold topped with Mickey ears. Fans of Alice in Wonderland will appreciate the Alice Through the Looking Glass Limited Edition Fine China Tea Set (199.95). 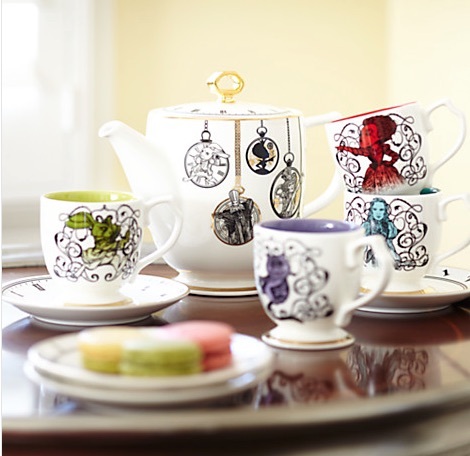 This set includes a teapot as well as four cups and saucers each decorated with an Alice theme. For the baker, the Mickey Mouse and Friends Colorful Collapsible Measuring Cup Set ($14.95) has Mickey, Minnie, Donald, and Pluto faces. They are perfect for measuring ingredients for baking. And they all collapse to store in a small drawer. When you’re looking for a “spoonful of sugar” you can now precisely measure a cup, a half cup, a third of a cup, and a fourth of a cup in standard and metric, all the while the Disney characters add a pinch of fancy to your job. Breakfasts will be just a little livelier with the Minnie Mouse Waffle Maker ($34.95). Or, for the Frozen fans, there is an Anna and Elsa Waffle Maker ($34.95) that creates waffles in the shape of a snowflake. 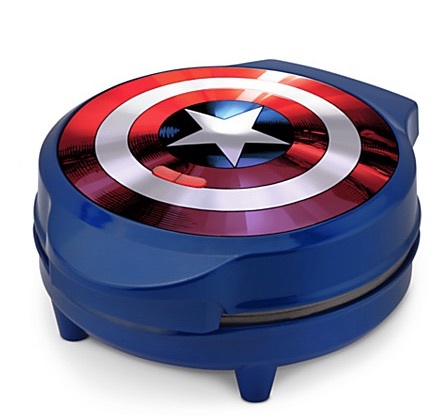 For the Marvel fans in your house, the Captain America Waffle Maker ($34.95) imprints the Captain America logo on each waffle. How marvel-ous. 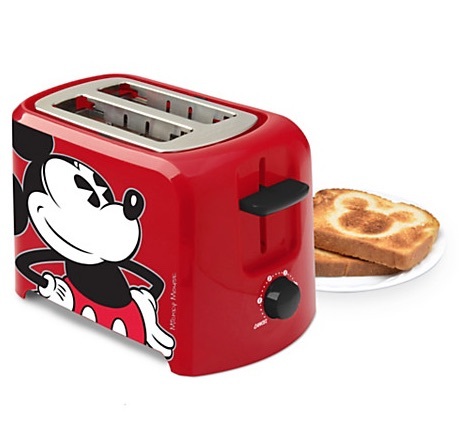 And, if waffles aren’t a favorite in your house, the Mickey Mouse Toaster ($24.95) makes 2 slices of toast and imprints Mickey on each slice. Setting a table with the Mickey Mouse Casserole Dish ($27.95) makes for a fun conversation piece. It’s useful as well as different from any other casserole dish because it is shaped like Mickey Mouse. That’s definitely unique. One of the new items in the Disney store is the Disney-Pixar 7-quart Slow Cooker ($34.95). Just set this on your counter and kids and adults will marvel at the fun designs of beloved movie characters that surround this useful kitchen tool. Sully, Nemo, Boo and other colorful designs perk up any counter or table while also creating delicious meals. And finally, evenings around the TV will be just a little more enjoyable with the Mickey Mouse Kettle Popcorn Popper ($74.95). 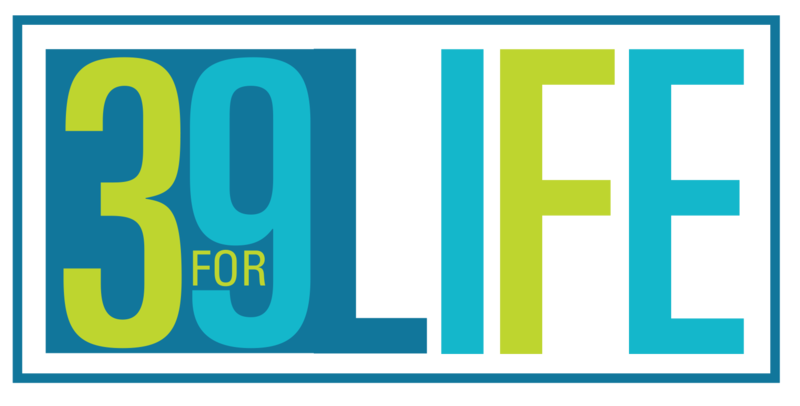 The Disney Store online has plenty of great items to perk up any kitchen and bring the fun of Disney to any house. And, they all serve a purpose. So instead of a boring plain salt and pepper set, why not put Mrs. Potts and Chip ($19.95) on your table?